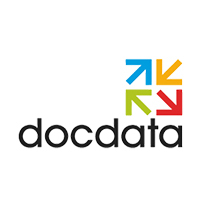 Docdata, a leading full-service e-commerce company in the Netherlands, takes care of fulfillment logistics for web shops of Zalando, bol.com and other companies. Due to the growth of e-commerce the number of small parcels that Docdata ships every day increased. As Docdata moved into a new distribution center in Waalwijk, it was time to look for a solution to handle this increase. This increase in small parcels caused the existing line sorter to be no longer efficient.  Equinox replaced it with a split tray sorter (aka bomb bay sorter or oval sorter) with a capacity of 6,000 trays per hour. Parcels and large envelopes are dropped into one of the 29 roll cages directly underneath the trays or in one of the four special buffer chutes. Electrical parts from the line sorter and the infeed line from the mezzanine to the installation were reused for the split tray sorter. The existing controls and software could be reused with minimal changes to run the new sorter, making the ROI for this investment very attractive. The split tray sorter allows Docdata to handle the growing number of small parcels efficiently and fast. Besides, it is very easy to operate and maintain. Parcels and envelopes that are easy to operate are placed on the infeed line, running from the mezzanine to ground floor. The items then move on to a pocket belt, where a single operator manually adjusts them in the right position if necessary. Items can also be brought directly to the operator in a trolley. The operator takes them out of the trolley and places the parcels on the pocket belt. The products are then automatically scanned and inducted onto the sorter trays. The tray opens above the right destination and the parcel drops into the roll cage underneath. When a roll cage is full, the destination is dynamically re-allocated. An operator takes the full roll cage away and puts an empty one in its place. The weight of parcels and envelopes varies from 50 gram to 2 kg. product dimensions are minimal 100 x 100 x 2 (L x W x H mm) and maximal 380 x 260 x 100.